For information regarding visas and travel documentation, please visit the Immigration page. St Helena’s natural beauty and historic heritage are in turn stunning and dramatic, offering all visitors an extraordinary lifetime experience. In spite of its small size, the Island has a huge amount to offer in terms of outstanding scenery, pristine marine waters, sub-tropical conditions and warm and friendly people. For more information on St Helena, what it has to offer its visitors and how to get here, visit the official St Helena Tourism website at www.sthelenatourism.com. We also encourage you to browse the pages of this website for key information about visiting the Island. St Helena Airport has been open and operational since April 2016. Commercial flights commenced on Saturday, 14 October 2017. The isolation of the Island together with the potential for windshear has meant that St Helena Airport has been classed as a Category C airport. Category C airports have additional considerations for approach, landing or take-off. Difficult wind conditions, including turbulence and windshear, are encountered and safely managed at many airports around the world and St Helena Airport is no different. 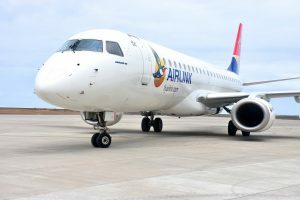 The weekly air service each Saturday is provided by SA Airlink and operates between St Helena Airport and OR Tambo International Airport in Johannesburg, South Africa. On the second Saturday of each month, Airlink operates a charter service to Ascension Island. The flight departs St Helena on the Saturday, returns on the Sunday before commencing the onward journey to Johannesburg on the same day. There are six business class seats and 70 economy class seats available on each flight. Tickets are available online via the Airlink website at https://flyairlink.com/ and through all normal IATA global distribution systems. Passengers are advised to contact their IATA travel agent. For those passengers that are resident on St Helena, ticket bookings can also be made via Solomon & Company (St Helena) Plc’s ‘Shipping & Travel Agency’ at the Malabar in Jamestown. Passengers can visit the ‘Shipping & Travel Agency’ in person or can contact shipping.manager@solomons.co.sh or telephone: +290 22523. Many people choose to visit St Helena by Cruise Ship. St Helena is ideally located as a midway port on cruises between Cape Town or Walvis Bay, the Falkland Islands and South America and the Caribbean. Cruising on St Helena dates back to Union Castle days, and since then has remained small scale, however interest in cruise visits to St Helena is growing. Our cruise ship season starts from October and ends in April. For more information please contact Solomon’s Shipping Office, St Helena, at: shipping.manager@solomons.co.sh. St Helena welcomes visiting yachts. There’s a growing interest in yachts seeking safe havens in new and unspoiled destinations. St Helena is conveniently positioned for passing sea traffic as it sits in the middle of West Africa and South America. 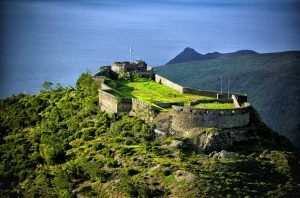 For more Information please visit the following link: http://sthelenatourism.com/getting-there/visiting-by-yacht. For visitors and residents wishing to utilitise the public transport system, Full Bus Timetable including Airport Service is provided. St Helena is growing its economy and opening its doors to inward investors – as well as providing more job opportunities for Saints Overseas to return home to work. Current job vacancies within St Helena Government can be found on the Vacancies page. Enterprise St Helena (ESH) is the lead body responsible for promoting and enabling private sector development on the Island and if you are interested in developing a business, please contact the Business Development team at Enterprise St Helena on email info@esh.co.sh or telephone 22920. For those persons not of St Helenian descent but wishing to work on St Helena for a short time, you are allowed to stay here and work for up to six months. More information on Entry Permits, Work Permits, Points Based Assessment and Permission to work can be found on the Immigration page. Investors and entrepreneurs who want to make a substantial financial investment in St Helena can apply to enter or stay in St Helena without needing a job offer. For more information please visit www.investinsthelena.com or contact Enterprise St Helena on info@esh.co.sh. What is the currency on St Helena? St Helena has its own currency, equivalent to the British Pound. What is the time zone on St Helena? St Helena is always at GMT. The UK adopts British Summer Time which gives an hour difference from April to September between the two countries. What is the climate on St Helena? St Helena boasts a sub-tropical climate kept calm and equable by the South East Trade Winds. The hottest months are between January and March and the coldest months between June and September. For much of the year the temperature remains between 20-27 °C. The Rainy Season is usually from late March to early May and then again from July to September. How do I travel around the Island? St Helena has a public bus system and taxis are also available. Car hire from private sector organisations are also available. please contact the tourist office on enquiries@tourism.co.sh for an updated list with contact information. A range of accommodation is available, from private self-catering, to guest houses and hotels. Visit the following link http://sthelenatourism.com/where-to-stay/ for more information. What facilities are available on the Island? All the normal amenities are available. The Island offers Cafes, Restaurants, Shops, Bars, Community Centres, Public Swimming Pool, the Museum, and more. St Helena’s environment is truly remarkable, from dramatic cliff tops to a sub-tropical interior – All of it surrounded by pristine seas. St Helena offers world class opportunities for activities such as walking/hiking, ornithology, marine trips and fishing. Incredibly clear skies also attract astronomers.